Political watchers say the departing House speaker will negotiate a short-term funding bill. But when it expires on Dec. 11, the battle will begin again. House Speaker John Boehner’s surprising announcement Friday that he will resign Oct. 30 likely signals a government shutdown next week will be averted temporarily, with another battle heating up in December, political watchers say. 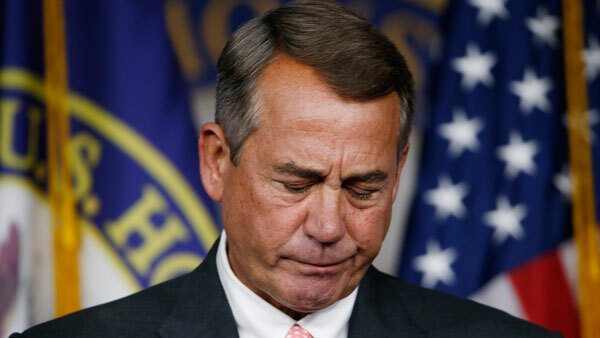 “I take [the resignation] to mean Boehner is going to introduce a short-term funding bill, pass it with Democratic support, and then resign,” political strategist Andy Friedman of the Washington Update told ThinkAdvisor on Friday. However, the CR would only fund the government until Dec. 11, “so we’ll have to go through this whole thing again in December — with a more confrontational speaker,” Friedman says. Indeed, Washington Analysis states that with a short-term CR, concern “quickly shifts” to what happens with the next funding measure and a “necessary increase” in the nation’s debt limit. Senate Majority Leader Harry Reid, D-Nev., said on the Senate floor that “like America,” he was “stunned” to learn that Boehner was going to resign. — Check out Valliere: Despite Victory, Republicans Shouldn’t Think Voters Love Them on ThinkAdvisor.